This is an example of a Freedom of Information request that has recently been made into a school which is being forced to become and Academy. 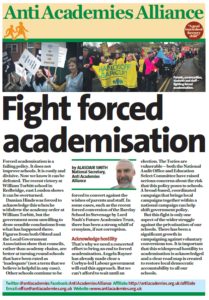 The Freedom of Information Act, which came in to force at the beginning of 2005, can be a powerful tool in campaigning against academies and trust schools. 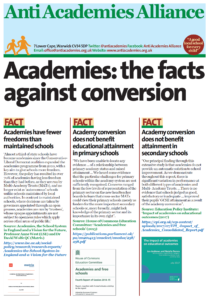 Are academy conversions creating opportunities for insurance companies to fleece the taxpayer? 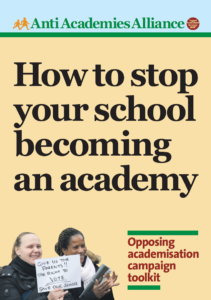 If this scam was repeated across the 1,o00+ schools that have become academies, the taxpayer could be paying millions more for school insurance. The Secretary of State for Education needs to come clean about the figures.